A very nice looking specimen showing a snow white analcime crystal atop a couple of very deep-orange serandite crystal sections. 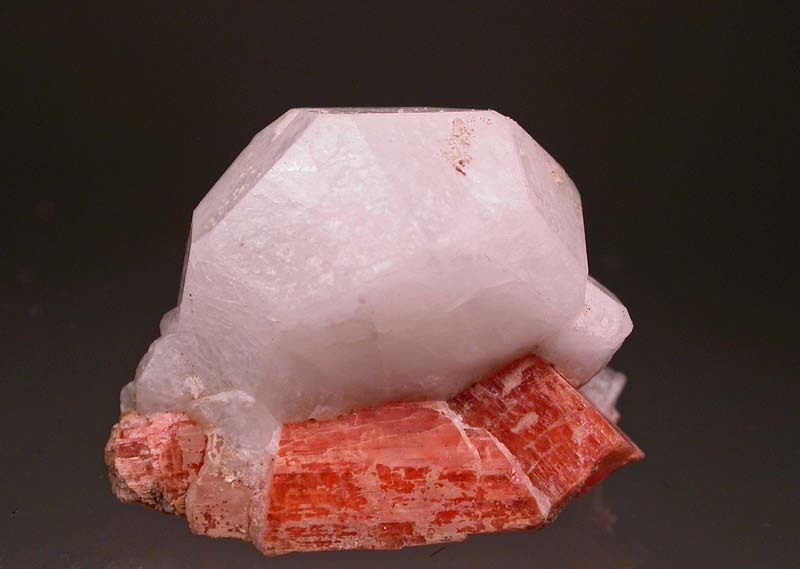 Please note that the analcime crystal is well formed all around except on the front where it was once in contact with another analcime crystal. Still, looks great!